I’ve enjoyed my time broadcasting. 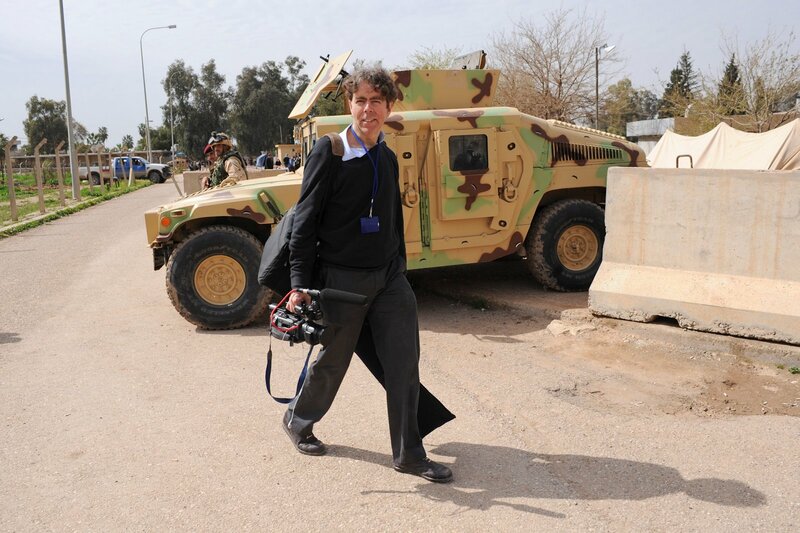 I worked for more than ten years with the BBC as a producer and reporter, then moved on to the UN – as a television producer, speech writer and communication officer – in places like Iraq, Sri Lanka, Kosovo and New York. A major turning point for me came in 2003 when I survived the terrorist attack on the UN’s HQ in Baghdad. After meeting some of the remarkable people there, I wanted to tell their stories. I went back to Iraq in 2005 to make my own independent documentary about UN staffers struggling to make an impact in a country ruled by the gun: Poisoned Chalice: the UN in Iraq. I’ve also written a novel, “The Promise”, based on my experiences in Iraq. It’s a political thriller. I’m currently producing short docs for the UN – I recently filmed migrants in Germany, survivors of terrorism in Norway, black rhino in Namibia, people with disability in South Africa and a global look at death and safety on the road. See the links in the menu on the right. During a year spent in Sri Lanka I shot a short doc focusing on the impact of the country’s civil war on the different communities there. I regard myself as being privileged – going to unusual places and being paid to make films. I’ve had the chance to meet some extraordinary people – and I have some personal commentaries and reflections on my trips on my blog. I feel I also learned a lot after moving to the US from my native UK – not least from my American wife Ariel. Thanks for visiting my site – please let me know if you have any comments. I found your contact on Linkedin and I sent you a message. I suppose that you are busy so I decided to send you a message on your blog. I do not want to disturb you. I am so proud that I recently been a guest professor on Michigan State Universe. in the class of Prof. Eric Freedman, winner of Pulitzer, 1994. I saw your terrible experience with terrorist attack in Iraq: fortunately it was happy ending of a terrible attack.